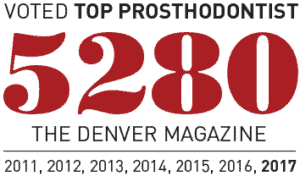 Dr. Aldo Leopardi is one of the most referred to Prosthodontists in Denver. Dr. Aldo Leopardi is a prosthodontist committed to creating beautiful smiles. Our team is committed to providing the best dental experience. DenteVita Prosthodontics and the Practice of Dr. Aldo Leopardi specialize in aesthetic, implant, fixed and removable dentistry. 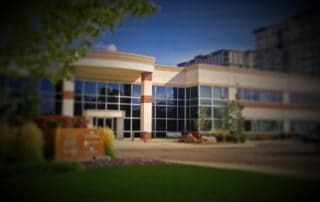 We emphasize patient comfort and quality results in a confident atmosphere. Dr. Leopardi’s patients are assured their image is in good hands right from the first impression. Dental implants look more like natural teeth than partial dentures or bridges. The tooth implant serves as the actual root for the missing tooth. The titanium implant is given time to bond with the bone. We weren’t all born with perfect teeth or beautiful smiles. Porcelain veneers are a cosmetic dentistry tool and are perfect for patients who want to eliminate what they see as a flaw in their smile. 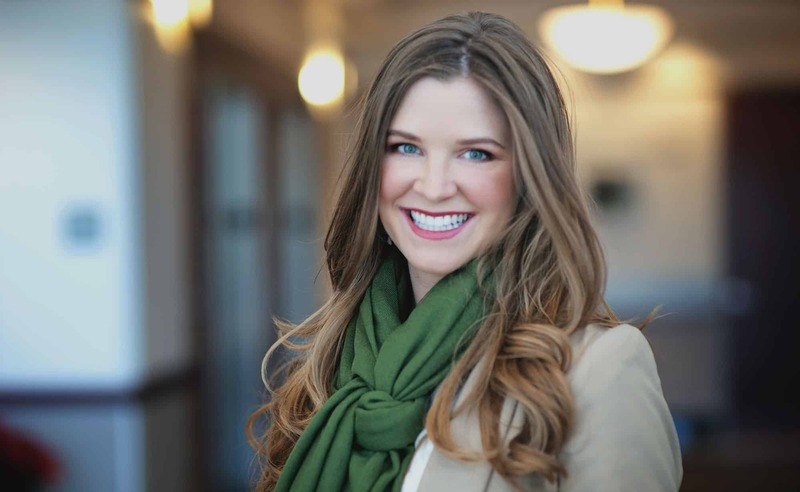 Whether your needs are restorative or aesthetic dental, you can rely on DenteVita Prosthodontics and the Practice of Dr. Aldo Leopardi, Denver Prosthodontist. 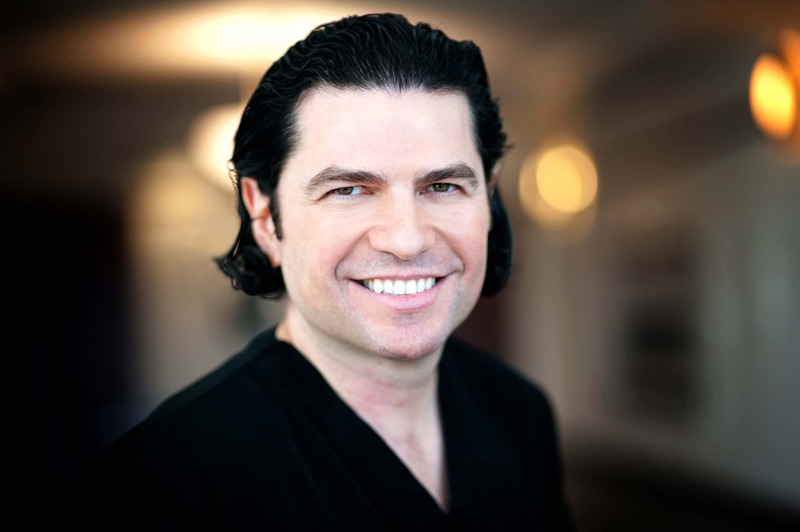 He has worked for more than a decade supporting clients through cosmetic dentistry. Positive life transformation. Life is better with DenteVita. A great smile is often taken for granted. One’s image, self-esteem, and confidence can be affected by imperfect smiles. Taking care of your dental challenges is what is most important to us. When looking for an expert approach to aesthetic dentistry and dental implants, Dr. Aldo Leopardi is a world-renowned Prosthodontist committed to creating beautiful smiles. Patients with dental reconstructive and cosmetic dentistry needs should consider the expert and highly specialized care of Dr. Aldo Leopardi of DenteVita Prosthodontics. He’s not only Denver’s leading Prosthodontist, he is the only dentist you’ll see from your first consultation through completion of your treatment. Being internationally recognized for his dental artistry, and with more than 30 years of experience, means you’ll be in the hands of a world class Prosthodontist and a staff devoted to the highest level of care. Dr. Aldo Leopardi’s attention to detail is evident with every successive appointment as he gently uses the most advanced dental techniques to build your smile. Each patient receives a personalized treatment plan that may include implants, veneers, reconstructive dentistry, tooth replacement therapy, dentures or surgery. The difference lies in the understanding and execution of each patient’s expectations. Dr. Leopardi of DenteVita Prosthodontics has the specialized skills to deliver the desired results. Results set cosmetic dentists apart. Dr. Aldo Leopardi is one of the most referred to Prosthodontists in Denver and will take on failed and turned down cases. His innovation and remarkable results have led him to become internationally recognized. He is not only a speaker at numerous Dental Conferences, he is also a student who continually seeks to enhance his skills. Dr. Leopardi of DenteVita Prosthodontics is an innovator who is fully dedicated to his patients. The results are reflected in your smile, your health, and your renewed confidence. Dr. Aldo Leopardi of Denver, Colorado is a world-renowned Prosthodontist and musician. This video highlights his education and background. At DenteVita Prosthodontics and the Practice of Dr. Aldo Leopardi, we’re proud to offer a uniquely pleasant experience, complete with a calming ambiance and a team of professionals committed to your comfort and individual needs. 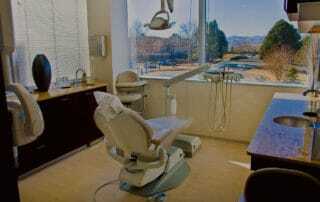 Dentistry is a truly specialized service and seeing the right person makes all the difference. Personalized care from world-class Prosthodontist Dr. Aldo Leopardi of DenteVita Prosthodontics.